Franklin Flood, LLC - Flood Insurance for Homeowners, Renters and Business. Flooding is on the rise throughout the United States and around the world. Many parts of the country are experiencing record precipitation and record high water. But if you have seen the evening news or visited any of your favorite internet news outlets, you already know that. Whether you blame global warming or just a cycle shift in the climate, the cause is not what's on your mind when there's 3 feet of water on the first floor of your home or business. All you're thinking about is how to get your life back on track. While nothing can stop the pain and inconvenience a flood can cause, flood insurance can help you get back on track, help you reclaim your life and move forward without the need for government disaster aid. Which, by the way, is basically a loan that must be repaid with interest. Don't needlessly mortgage your future because of a flood, get insured now and there will be one less thing in life to worry about. FEMA ( the Federal Emergency Management Administration ) says everyone lives in a flood zone and should be prepared and purchase flood insurance. So why not call Franklin Flood today and get the whole story about your particular needs. A friendly, licensed, no pressure, Franklin Flood Insurance specialist will answer your questions and also give you a free, no obligation quote. If you prefer, simply use our online quote form and get started right now. Franklin Flood, LLC is an award winning US company located in Exton, Pennsylvania, a suburb of Philadelphia. Franklin is America's premier flood insurance provider, a solid company built on writing accurate policies that don't waist your money and the best customer service experience in the business. Franklin has earned the Administrator’s Club Award at the 2005 and 2007 National Flood Conferences, sponsored by FEMA, the Federal Emergency Management Administration. This award is bestowed upon companies in recognition of their contributions to the National Flood Insurance Program ( NFIP ). Franklin Flood LLC redefines the flood insurance industry with a new mission focusing on helping independent agents gain unlimited access to new and existing flood insurance markets. Because we specialize in flood insurance, we can help you cover the needs of your clients. At Franklin, purchasing a policy is just the beginning of our relationship with policy holders. If you already have a flood policy and have questions or have been a victim of a flood and need to know what to do, click here for online answers and who to contact for help. Get a no obligation Franklin Flood Insurance quote any way you want it, 1. Online eQuote, 2. Phone Quote 3. Request a call from an agent to walk you through the process. NOTE: By law there is a mandatory 30 day waiting period, after purchase, before a policy goes into effect, so don't delay . The Franklin Flood Risk Center was created to help you quickly evaluate your risk of flooding. Please explore the tools and information available in our flood risk center and if you have questions or need assistance, please call Franklin at 888-567-9600 to talk to a friendly licensed Flood Insurance professional. The Homeowner Flood Insurance Affordability Act of 2014 (HFIAA), which went into effect July 1, 2014, restores grandfathering and much of the previous affordable rate structure and more reasonable regulations. For the consumer this means that NFIP Government backed Flood Insurance is affordable and obtainable again. A Flood Zone is a geographical area that is rated to reflect the severity or type of flooding in that area. These areas are indicated on a Flood Insurance Rate Map or a Flood Hazard Boundary Map. Here you can find some general information about flood insurance what it covers and generally what it costs. This is a good place to start but if you have specific questions please call a Franklin Flood Specialist to get the complete story. Friendly, no pressure Franklin Agents are available to answer you questions and get the quote process started immediately weekdays during normal business hours. Our online form will supply Franklin with the information needed to get the quote process started. No need to call unless you have a question or need assistance. A friendly, no pressure Franklin Agent will call at the time you indicate on the "Contact Me for Quote Form" form. The agent will answer your questions and walk you through the quote process. Are major floods becoming more common in the US? Rain and snow events are on the increase in and the amount of rain falling in the heaviest downpours has also increased about 20% on average in the last century. Flood insurance is important, but In today’s fast paced world finding the time to research providers and shop for flood insurance can be difficult. While Flood insurance rates are set by the federal government Franklin can make sur you don't buy why you don't need, and save you money. Franklin Flood LLC redefines the flood insurance industry with a new mission focusing on helping independent agents gain unlimited access to new and existing flood insurance markets. (NFIP WYO, Private Flood, Excess and additional flood related products). Franklin Flood LLC has partnered with New Hampshire Insurance Company and will place its Pennsylvania book of flood insurance under New Hampshire’s ‘A’ Excellent AM Best rated flood division - August 1, 2014. Franklin Flood LLC will continue to provide the top tier service to which our agents have grown accustomed. We are committed to ongoing growth and innovation of services. Existing agents will continue to receive all of the same high quality services and benefits with Franklin Flood LLC. Rebranding will allow Franklin Flood LLC the independence to provide quick answers to the many questions and issues that evolve from the NFIP WYO program. At the same time this conversion will be totally transparent to our agents. 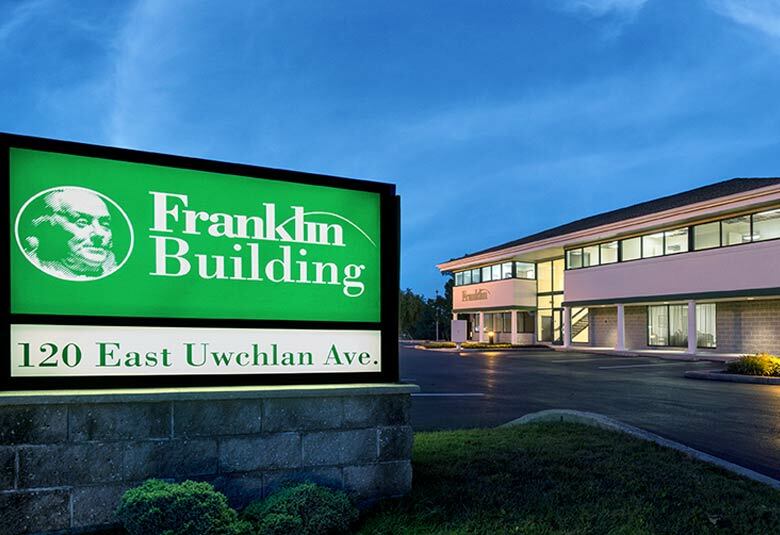 If ease of doing business, feeling like you are part of a team and helping people avoid the disastrous financial consequences of a flood, is important to you then take a closer look at Franklin. 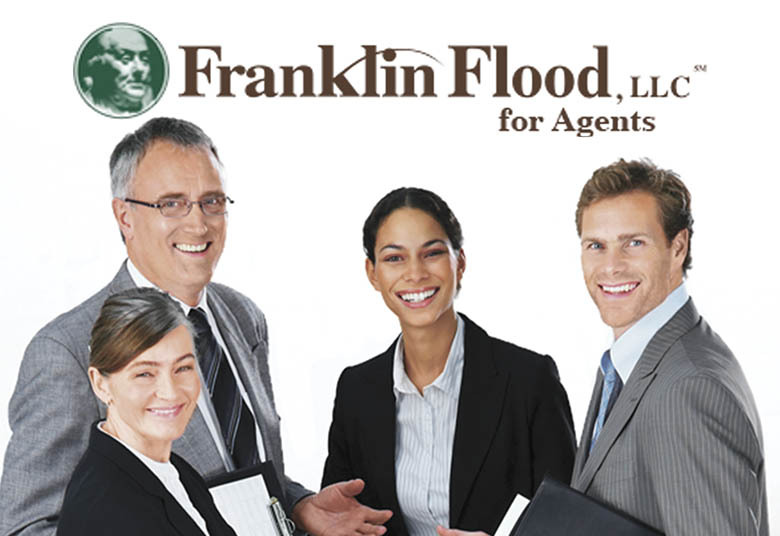 At Franklin we specialize in flood insurance and providing agents with a full-service team experience.